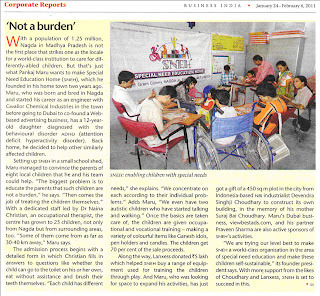 Business India a well known global magazine of corporate world gave the very good coverage of SNEH in its recent edition (24th Jan 2011). Mr Sekhar Seshan the executive editor who himself visited the SNEH on Oct 19th and observed the activities. 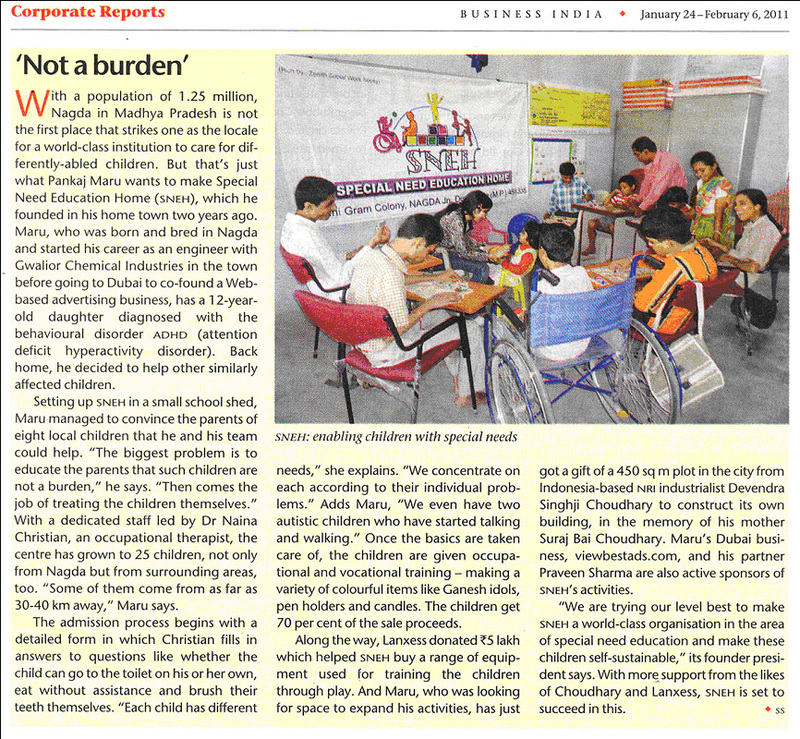 Thanks to him and Business India for such a nice coverage. 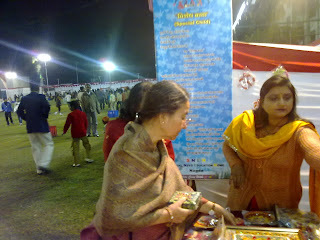 SNEH exhibits its products in ANAND MELA 2011 organized by Grasim Mahila Mandal in Grasim Staff Club Birlagram Nagda. The stall is visited by all top authorities of Grasim Industries. Director of Grasim Industries Ltd. Mr Shailendra Jain, Executive Prsesident Dr Prakash Maheshwari, Mahila Mandal President Mrs Niharika Jain, Mrs Maheshwari and many other visited the stall and purchase the products. Rotary Governor Mrs Langar was also visited stall and invited SNEH to put a stall of its product in their annual conference in Feb at Indore. 8th Jan 2011 is the historical day for SNEH when Industrialist Mr Devendra Singhji Coudhary (NRI having setup in Indonesia) visited SNEH campus with his wife Mrs Choudhary & sister Mrs. Indu Chaplot. They donated 5000 sft land in a prime location of Nagda City in Shri Ram Colony to construct the building of SNEH in the memory of his mother Late Smt Suraj Bai Choudhary w/o Late Shri Chandmalji Choudhary. He also confirmed that out of 17000 Sft of plot the balance will be used as lawn/playground for the SNEH kids. He offered a bigger piece of land also if needed for SNEH. 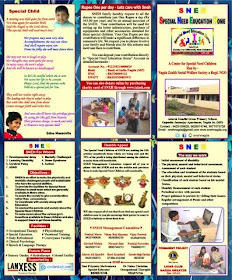 SNEH family approached him 8 months back and he was observing the activities of SNEH. He was quite impressed with the available facilities available for Special Need Children at SNEH in a small place like Nagda and extended his whole hearted support for SNEH. 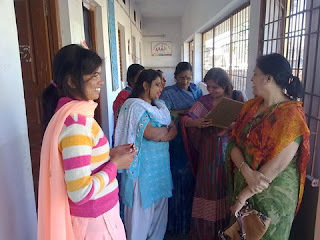 Mrs Choudhary also conveyed her wish to be part of SNEH and work personally for Special Children in future. 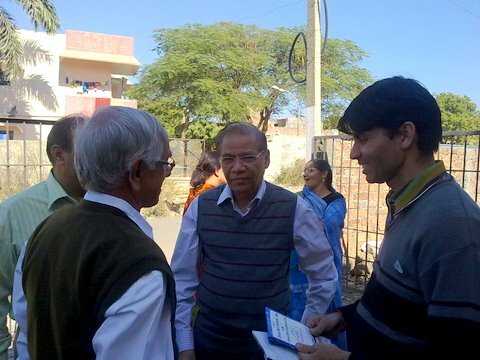 It will be a great moment for SNEH family which come due to sole efforts of Lion Chandra Shekharji Jain, a very close friend of Mr Choudhary, and was continuously following up and updating him about the activities of SNEH. SNEH family is thankful to Choudhary family and assured that their contribution towards this noble cause will create a great change in the lives of special children. 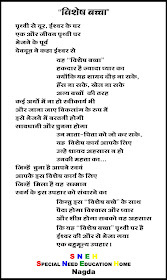 Thanks to Lion Chandrashekharji Jian also for his continuous efforts in this work.